This Wednesday, The Warriors registered one of the most historic wins of their entire career against the Pelicans. They came back from a 17 points deficit, ultimately winning the game by 147-140, breaking and making a number of records through the game. This historic win was special for Stephen Curry who registered eight 3-points in the game. He became the only NBA players to achieve that feat in three consecutive games. He was able to convert 9 out of 17 chances into successful three pointers, ultimately ending up 41 points in total. Kevin Durant assisted him by winning 30 points for the Golden State. Thanks to Anthony Davis’ 30 points and 18 rebounds, which helped Pelicans to score a total of 140 points in the game. 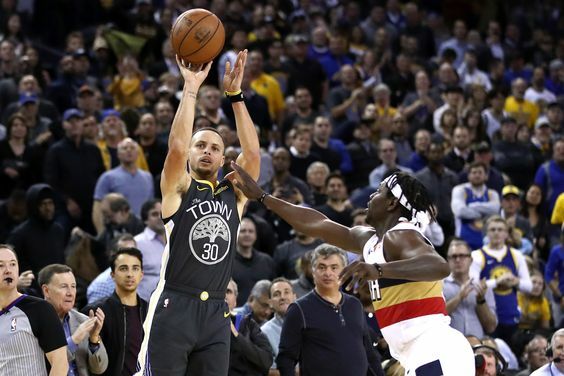 The two teams also set a record for the most number of three-pointers, scoring 43 in total, beating the record of Warriors and Kings, which was set just 10 days before. Warriors scored 24 out of those and tied the record for the most 3-pointers in a game. Both the teams looked all pumped up in the game. Rather than being on the defense, Stephen Curry and Nikola Mirotic aimed just at scoring the maximum points. Both aces from both of the team we in the best possible form. The game was just in the third quarter and Curry had already scored seven 3-pointers till then. 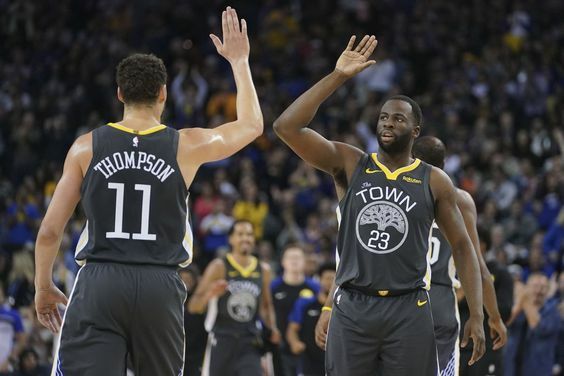 Draymond Green came as a surprise package for the Warriors who scored four 3-pointers in the game. He hadn’t achieved such a feat since March 2018, and his brilliant offense brought confidence to the entire Warriors team. On the other side, Mirotic displayed his full offensive arsenal throughout the game. He was exploiting his turnaround jumpers all through the arena. He scored 29 points and assisted Davis and Holiday in helping The Pelicans put up a respectable total on the board.